2204001 MEGA 130 Daewoo MEGA 130 Wheel loader MEGA Operation manual. Service manual. Spare parts catalog. Schematics. 2204002 MEGA 160 Daewoo MEGA 160 Wheel loader MEGA Operation manual. Service manual. Spare parts catalog. Schematics. 2204003 MEGA 160 TC Daewoo MEGA 160 TC Wheel loader MEGA Operation manual. Service manual. Spare parts catalog. Schematics. 2204004 MEGA 160 TC Tier-II Daewoo MEGA 160 TC Tier-II Wheel loader MEGA Operation manual. Service manual. Spare parts catalog. Schematics. 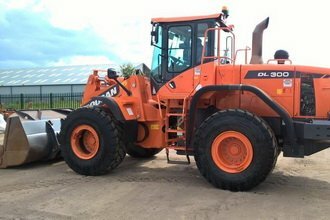 2204005 MEGA 160 TC Daewoo MEGA 160 TC Wheel loader MEGA Operation manual. Service manual. Spare parts catalog. Schematics. 2204006 MEGA 160 Tier-II Daewoo MEGA 160 Tier-II Wheel loader MEGA Operation manual. Service manual. Spare parts catalog. Schematics. 2204007 MEGA 160TC Daewoo MEGA 160TC Wheel loader MEGA Operation manual. Service manual. Spare parts catalog. Schematics. 2204008 MEGA 160TC Tier-II Daewoo MEGA 160TC Tier-II Wheel loader MEGA Operation manual. Service manual. Spare parts catalog. Schematics. 2204009 MEGA 160TC Daewoo MEGA 160TC Wheel loader MEGA Operation manual. Service manual. Spare parts catalog. Schematics. 2204010 MEGA 200-III Daewoo MEGA 200-III Wheel loader MEGA Operation manual. Service manual. Spare parts catalog. Schematics. 2204011 MEGA 200TC-III Daewoo MEGA 200TC-III Wheel loader MEGA Operation manual. Service manual. Spare parts catalog. Schematics. 2204012 MEGA 200-V Daewoo MEGA 200-V Wheel loader MEGA Operation manual. Service manual. Spare parts catalog. Schematics. 2204013 MEGA 200 V-TC Daewoo MEGA 200 V-TC Wheel loader MEGA Operation manual. Service manual. Spare parts catalog. Schematics. 2204014 MEGA 250-III Daewoo MEGA 250-III Wheel loader MEGA Operation manual. Service manual. Spare parts catalog. Schematics. 2204015 MEGA 250-V Daewoo MEGA 250-V Wheel loader MEGA Operation manual. Service manual. Spare parts catalog. Schematics. 2204016 MEGA 250-V Tier-II Daewoo MEGA 250-V Tier-II Wheel loader MEGA Operation manual. Service manual. Spare parts catalog. Schematics. 2204017 MEGA 260-V Daewoo MEGA 260-V Wheel loader MEGA Operation manual. Service manual. Spare parts catalog. Schematics. 2204018 MEGA 300 Daewoo MEGA 300 Wheel loader MEGA Operation manual. Service manual. Spare parts catalog. Schematics. 2204019 MEGA 300-III Daewoo MEGA 300-III Wheel loader MEGA Operation manual. Service manual. Spare parts catalog. Schematics. 2204020 MEGA 300-V Daewoo MEGA 300-V Wheel loader MEGA Operation manual. Service manual. Spare parts catalog. Schematics. 2204021 MEGA 400 Daewoo MEGA 400 Wheel loader MEGA Operation manual. Service manual. Spare parts catalog. Schematics. 2204022 MEGA 400-III Daewoo MEGA 400-III Wheel loader MEGA Operation manual. Service manual. Spare parts catalog. Schematics. 2204023 MEGA 400-III Plus Daewoo MEGA 400-III Plus Wheel loader MEGA Operation manual. Service manual. Spare parts catalog. Schematics. 2204024 MEGA 400-V Daewoo MEGA 400-V Wheel loader MEGA Operation manual. Service manual. Spare parts catalog. Schematics. 2204025 MEGA 500-V Daewoo MEGA 500-V Wheel loader MEGA Operation manual. Service manual. Spare parts catalog. Schematics. 2204026 MEGA 500-V Tier II Daewoo MEGA 500-V Tier II Wheel loader MEGA Operation manual. Service manual. Spare parts catalog. Schematics.